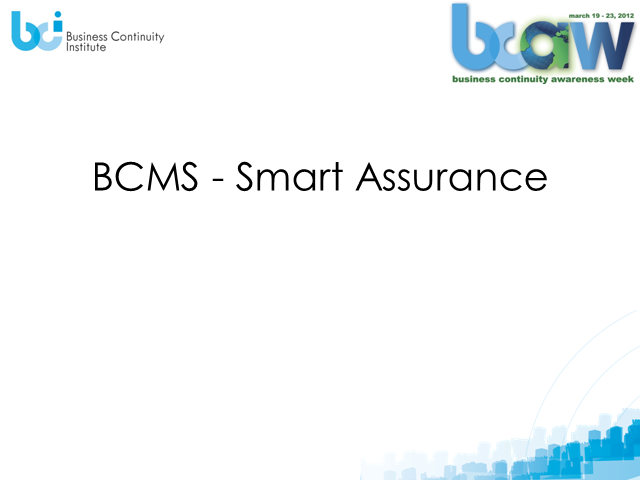 How to check your Business Continuity Management System? In this session we will look at activity to undertake within the ‘Check’ section of the Plan, Do, Check, Act approach recommended by the industry standard. A practical approach to checking your BCMS to give you the assurance which your business needs without creating a ‘cottage industry’. Using the assurance to highlight your most significant weaknesses and understanding the implications to the continuity capability of your business. Title: How to check your Business Continuity Management System?